It’s testament to southern France’s position as one of the world’s most recession-proof luxury-property locations that it managed to emerge relatively unscathed from some testing times. A combination of the global financial meltdown, the Eurozone crisis and the new tax laws introduced by François Hollande (see COUNTRY LIFE International, Spring 2013) would have knocked almost any other market off its feet, but country houses in the South of France seem to have successfully weathered the storm. Sales may have slowed slightly, say agents, and can take longer to complete, but the region is already heating up for summer. Knight Frank have also seen a fresh injection of interest in the area from the world of finance: ‘We’ve noticed a trend for City people looking for property that’s ready to go. These buyers move fast-they might come down for a whirlwind tour and make offers on three or four different houses at a time. You find that the vendor who makes the sale is the one most willing to meet them on price.’ The presence of these buyers is also a possible indicator that fairer winds are blowing on the international market as a whole-Mr Harvey certainly thinks so. Jez Moore, property finder for JV Pastor Group’s exclusive real estate brokerage franchise OnlyResidence (www.onlyresidence.com/propertysearch), notes that he’s also been busy this year.  ‘Irrespective of the financial or tax landscape, there are still extraordinarily wealthy people out there who continue to be drawn to the South of France because of the legacy it’s created through the people, the history and the glamour associated with these addresses. The buyers who can afford the best houses in the world all want to be here.’ Mr Moore deals with budgets ranging from €10 million to €300 million and his buyers are looking in Roquebrune-Cap-Martin, Cap d’Ail, Eze, Cap Ferrat, Villefranche-sur-Mer, Cap de Nice, Cap d’Antibes, Cannes and Saint- Tropez. The reason the Caps are so popular, is that, usually, in the South of France, the closer you are to the water, the closer you also are to the train tracks-except on the Caps. 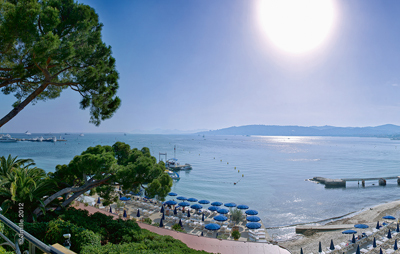 Cap d’Antibes is sought-after because of its central position and all-year-round lifestyle. Here, Home Hunts is selling one very fine Belle Epoque villa located on the west side, which enjoys great sea views and spectacular sunsets. The house has been renovated throughout and offers 350sq m of living space and a guest apartment, all for €12.6 million (00 33 970 44 66 43; www.home-hunts.com). Also in Cap d’Antibes, lovers of Art Deco architecture will be drawn to Tanah Merah, an extraordinary reimagining of a property that stays true to its roots, but also reaches confidently into the 21st century. Many original features remain, including the 1920s staircase, the fireplaces and the elegant cornicing, but they blend seamlessly with modern creature comforts such as the home theatre, hammam, Jacuzzi, infinity pool and intelligent-house system, and the roof terrace is crying out for a party (through Knight Frank, 020-7861 5034; www.knightfrank.co.uk). For those who’d rather be in town, Sothebys International Realty are selling a Belle Epoque villa that’s rumoured to have been home to F. Scott Fitzgerald while he wrote Tender is the Night. Renovated, but retaining their period style, the interiors of this house are cosy in winter and cool in summertime. With five bedrooms and elegant reception rooms opening onto shady terraces, the house also comes with direct access to the beach and a private jetty, all at a price of €27.5 million (00 33 493 38 50 33; www.cotedazur-sothebysrealty.com). Of course, some Caps are more sought-after than others, and there is one where buyers with an unlimited budget immediately flock. 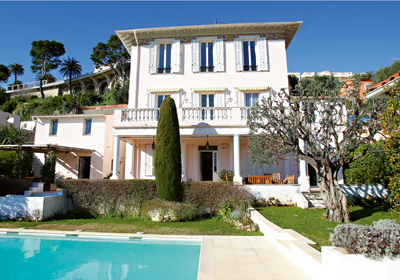 ‘Cap Ferrat is still the ultimate place to own a property,’ says Mr Moore. ‘Since the world’s super wealthy began buying there, it created a legend that made it one of the most aspirational places to buy in the world.’ A brand-new villa near the sea in Saint-Jean- Cap-Ferrat has 250sq m of living space and four bedrooms, as well as a pool pavilion with guest suite, and staff quarters. It’s on the market for €8.5 million (through Savills, 00 33 493 87 41 15; www.savills.co.uk). Nonetheless, other Caps have their own appeal. ‘Cap Martin is a more discreetly famous location, and its private domaine has some of the most beautiful properties in the world. Not far from there is the extraordinary Coco Chanel house located in Roquebrune-Cap-Martin, where Winston Churchill spent his time painting,’ notes Mr Moore. The villa is for sale through Sotheby’s International Realty with a price on application. 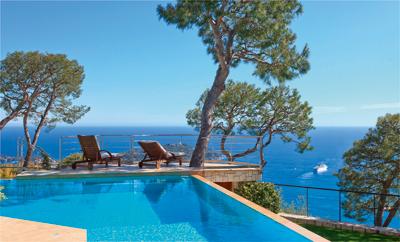 If the Caps are not for you, however, there are some spectacular properties built into the hills, which come with impressive views of both the Bay of Villefranche and Cap Ferrat. One standout example is La Cascade. The entrance alone is unforgettable-you enter through a cavern dug into the rock, reminiscent of the Bat Cave. This is another party-perfect house with accommodation and entertaining spaces spread across five floors, all accessed by a lift. Huge walls of glass, imaginative water features and a fantastic pool guarantee that this unique house will be bought by someone with a taste for the dramatic. The asking price is £25 million through Knight Frank. For buyers who prefer to be set back from the sea, but still enjoy sea views, Mr Harvey points to the villages behind Cannes, such as Saint-Paul-de-Vence and Tourettes-sur- Loup, as some of the most popular locations. Knight Frank are currently offering a villa in Vence, which has five bedrooms and three receptions over three levels, a great swimming pool and panoramic sea views. ‘Robert Dallas-style houses are still very popular,’ Mr Harvey maintains. Another interesting property in this area is a château in Le Bar-sur-Loup, which is set on top of a hill with far-reaching sea views. Marketed through Savills, the house offers great reception rooms and five bedrooms, plus a study, TV room and wine cellar, with grounds of 12.35 acres containing a pool and a fun boules court (00 33 623 48 39 19; www.savills.co.uk/international). More of his clients now make their fortunes at a younger age, points out Mr Caputo, and are drawn to places where there is the kind of nightlife they’re accustomed to in cities such as London and Paris, and Saint-Tropez suits their needs. Good spots to buy include the harbour, where you’re within walking distance of the beach, along Les Salins, and at Le Parcs, a private domaine where some glorious houses and estates with swimming pools, private gardens, 24-hour security and a private beach are sheltered under canopies of pine trees. Estates start at €8 million and can reach beyond €50 million. A wonderful town house laid across four storeys with a roof terrace and gorgeous interiors overlooking the citadel is for sale through Savills for €2.5 million (00 33 615 06 29 91; www.savills.com). Also for sale in the La Ponche area of Saint-Tropez is a quirky old fisherman’s house on the medieval ramparts. With three bedrooms and accommodation over four floors, it offers views of the citadel, the iconic church and, of course, the sea. It’s for sale through Leggett Immobilier at €3.5 million (00 33 55 36 08 488; www.frenchestateagents.com). Saint-Tropez is a seasonal town. Those who spend the summer months there usually winter in Courchevel or the Caribbean. Other areas of the Riviera, however, are year-round destinations. ‘We’re seeing more people coming for the weekend throughout the year because there’s so much happening in places such as Aix-en-Provence,’ says Mr Caputo. And, this year, Marseille-Provence is the that always brings interest from all over the world. One major exhibition is ‘Painters and the Mediterranean’, which will showcase the ways in which artists such as Van Gogh, Bonnard, Cézanne, Matisse and De Staël illustrated southern France from 1880 to 1960. Taking place simultaneously at Musée Granet in Aix-en-Provence and Marseille’s Palais Longchamp, it will be a must for art fans. 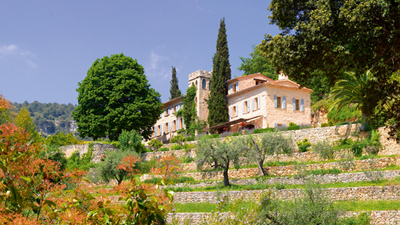 Thanks to the packed calendar of events and the recent launch of the direct Eurostar route from London to Aix-en-Provence, Sheeran Serre estate agents (00 33 6 80 64 03 75; www.sheeranserre.net), experts in helping British people buy in the southern part of the Luberon, anticipate a period of new arrivals to the area. ‘Aix has always drawn an arty crowd, but we think this beautiful French town is finally coming of age,’ says Bill Sheeran.